Whatever the arguments against voting and participation in electoral politics – and they are sound arguments; the great sucking sound of the Democratic Party absorbing and digesting social movements is real – in certain circumstances struggles over voting reflect larger social tensions and conflicts beyond the act of voting itself. Such is the case in the South where the historical suppression of Black peoples’ right to vote after Reconstruction and the bloody struggles of the Civil Rights movement in the 1960s, in which registering people to vote could lead to a savage beating and fighting white supremacy earn an early death on lonely Mississippi back country roads and not six-figure publishing contracts, means voting resonates differently here than it does in the North. A look at recent struggles – both covert and open – over voting in Alabama shows why. The “hidden transcript” of these struggles is that everyone on both sides knows more is at stake than just voting. Absolutely everyone. It gets more openly expressed by Black activists trying to get out the vote or register people, who draw the link to voter suppression and past segregation. Ordinary Black voters don’t necessarily vocalize this connection – no one gets up, for instance, on Election Day and says “I’m voting to strike a blow against white supremacy” – but by their actions they confirm it. On the white side, Republican politicians never explicitly express their desire to suppress the Black vote, but instead scramble to come up with some safe cover justifying it. Such was the case in 2015, where then-Governor Bentley ordered Department of Motor Vehicle offices shuttered, disproportionately in the Black Belt, the mostly African-American central part of the state, under the guise of budget cutbacks. Because ID such as driver licenses are mandatory to vote in Alabama, everyone knew what was really going on. There was a pushback that spread to the national level forcing Bentley to clawback the closings. The same drawing of lines came out in the Roy Moore-Doug Jones election last year. Roy Moore – who was to the right of George Wallace, even if he was forced to use dog whistles and not champion open segregation like Wallace – was defeated in large part because of a massive turnout of the Black vote. 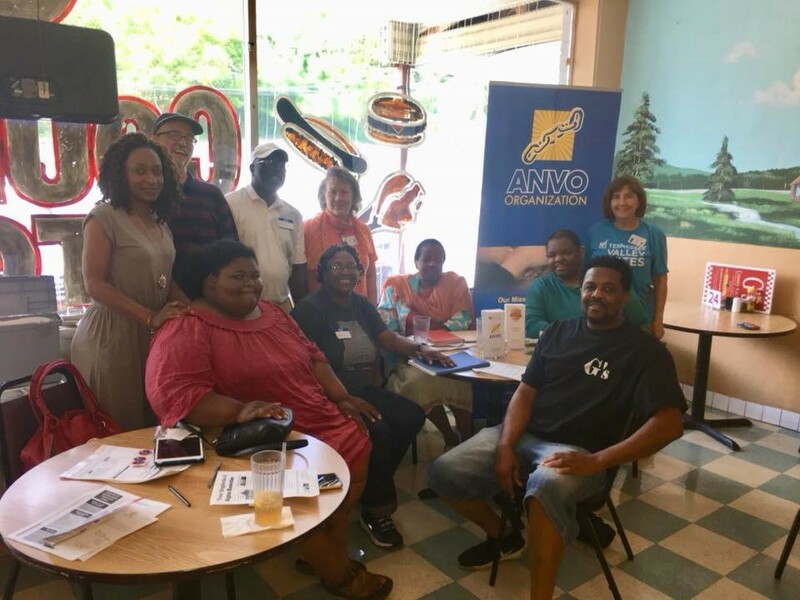 Earlier this summer, I sat in on a Voters Restoration drive sponsored by the Alabama Non-Violent Offenders (ANVO) at “G’s Country Kitchen,” which is more of a de facto community center for Huntsville African-Americans than a restaurant. The mythology of Obama weighs heavy here, from the portrait on the wall to the unlisted–on-the-menu “Obama drink” (surprisingly good, it tastes like a mix between Hawaiian Punch and that non-alcoholic bar staple, a Shirley Temple). 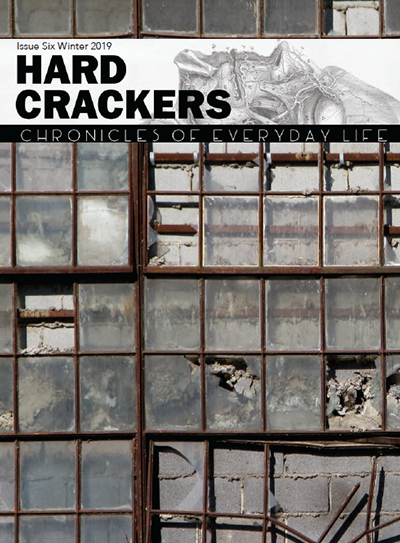 One of the owners, Maurice, a tall muscular firecracker of a man, circulates from table to table like a MC in a black T-shirt with the message “Get Up And Grind – Hard Work Pays Off.”” G’s” serves heaping portions of Southern comfort food at prices competitive with fast food chains, which means hard-pressed – pressed for time, money or both – working class families get something better quality than McSlop. It is yet another reason for “G’s” popularity and an expression of a larger embedded sense of service beyond the cash register flow. Last year, Alabama passed a law restoring felon voting rights for all but the most serious classes of felonies such as child sexual abuse. But in typical Alabama fashion, the legislature specifically barred using public funds for publicizing the change, so it was left to community groups such as ANVO and the League of Women Voters to “get out and grind” and spread the word. Several people came over to the ANVO table to get information on voter restoration. Many were middle-aged women – church-goers I guessed by looks and dress – likely picking up info for family members. A few ex-cons sat down and answered the questionnaire for voter restoration eligibility. I wondered afterward, though, how many actually would vote for the inevitable list of bland “Vote for Me and I’ll Set You Free” Democrats? Or, was it possible that there was another, even deeper “hidden transcript” at play that I couldn’t be privy to: an unspoken sense that voting is something that was taken away from me and I am taking it back now, even if I never exercise the right to vote?